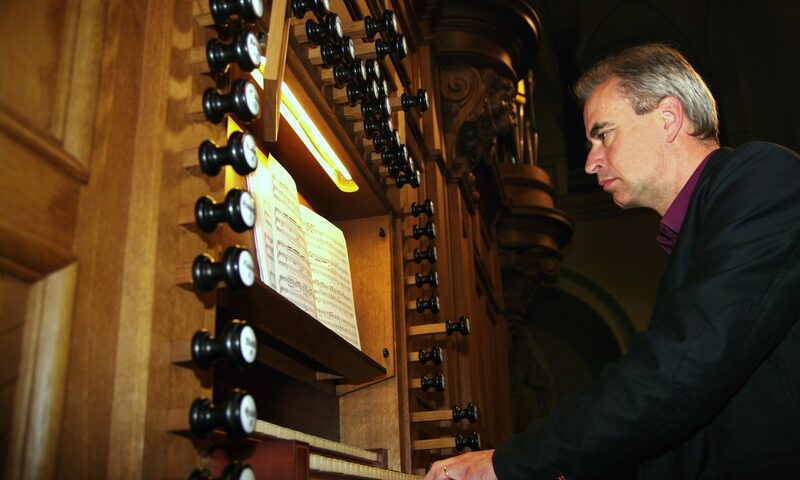 Marcel Verheggen currently holds the post of organist of the St. Servaas Basilica in Maastricht. In addition to his duties as a church musician, he gives many concerts in the Netherlands and abroad (for example during November 2010 in Russia, see photos on this website) and has recorded work on CD and made radio broadcasts for various networks. He performs regularly in the Organ Park in Amsterdam. His repertoire includes works ranging from early Renaissance music to contemporary works. He has performed premières such as the work ‘Cathédrales’ by Jean Lambrechts in September 2012. At international organ festivals he has received prizes both for interpretation and improvisation. He teaches organ at the Music Conservatory in Maastricht and gives master courses in the Netherlands and abroad. Furthermore he is a certified advisor for the Board for Church Bells and Organs (Organ Council of the Catholic Church in the Netherlands) in which capacity he is involved with construction and reconstruction projects. He is member of the College of Organ Advisors in the Netherlands (CvON), and of the examining committee of the National Board for the Training of Organ Advisors in the Netherlands (LOTO). He is editor for the National Institute for the Art of Organ Playing (NIvO) and is artistic leader of the Maastricht series for organ music ‘Pro Organo’. Besides his activities as a solo performer he also accompanies choirs and solo singers. The promotion of organ culture for young people is an important priority for him. He gives concerts for children and regular demonstrations of organ music for secondary school pupils. Below you can find a video and several pictures of such a demonstration. Marcel Verheggen has an active performance practice. Below, you can find a selection from recordings of performances and concerts. Saturday 19 February an interesting program at the Theater aan het Vrijthof! See: http://www.theateraanhetvrijthof.nl/voorstellingen/2019/01/franse-componistendag-lijnen-naar-messiaen/ I’ll play in the morning at the Basilica of Sint-Servaas: paraphrase-carillon by Charles Tournemire, a beautiful and rarely played composition.